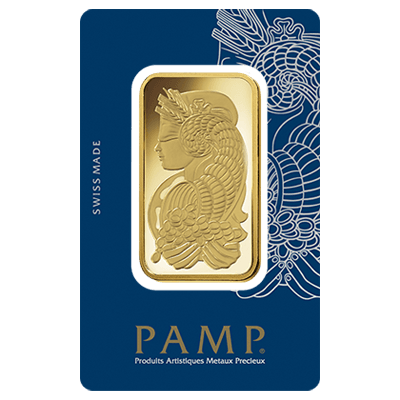 100 gram 24 Carat (999.9 Fine Gold) Pamp Suisse Investment Gold Bar. 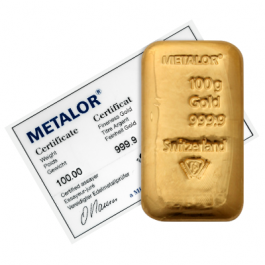 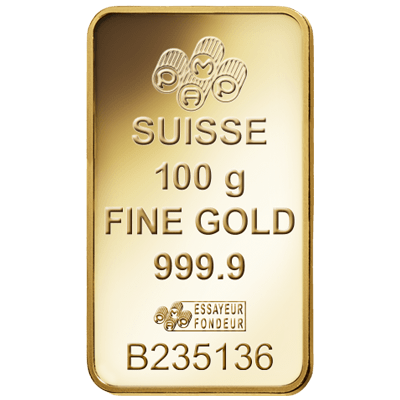 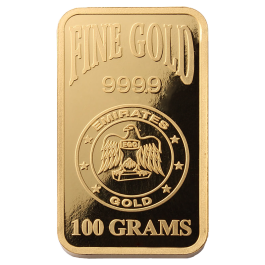 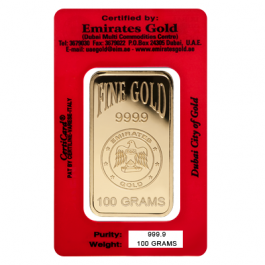 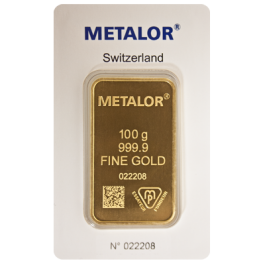 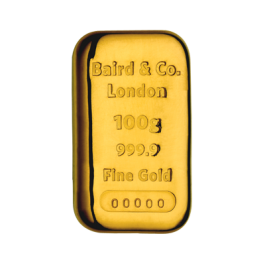 This Swiss-made Bar would enhance any portfolio and comes fully encapsulated and certified by the manufacturer, complete with the renowned Fortuna design on the reverse side. 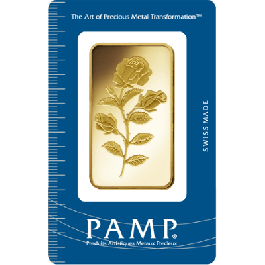 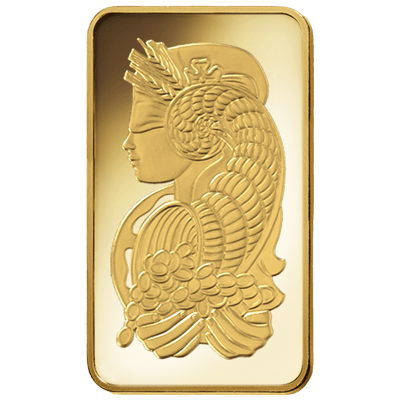 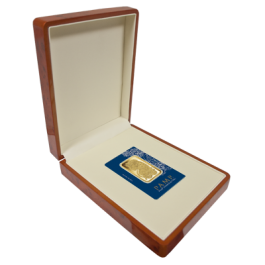 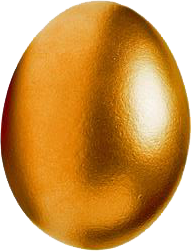 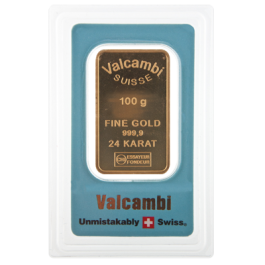 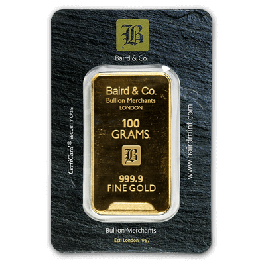 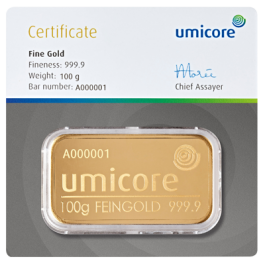 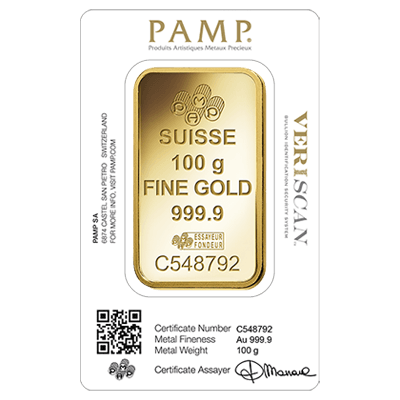 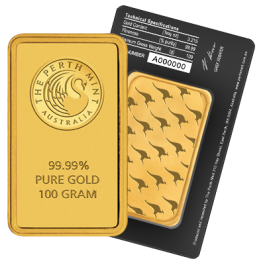 Your 100 Gram Gold Bar PAMP Fortuna Veriscan will be delivered to you free of charge and fully insured during transit, in a nondescript package that will not draw attention to the nature of the contents.